1comment 2019-04-15 09:35:54 source:Blue whale finance Just do it next week! Steady! Liquidity risk has becomeinsurance industryA topic that is difficult to avoid. Blue Whale Insurance notes that, recently,Soochow Life InsuranceCo., Ltd. (hereinafter referred to as "Soochow Life"), successively with SuzhouBank stockCo., Ltd. (hereinafter referred to as "Suzhou Bank") carried out inter-bank lending business, and twice invested a short-term capital of 300 million yuan. The purpose of the transaction is to "avoid liquidity risk." In fact, as of the end of the fourth quarter of 2018, the comprehensive turnover rate of Soochow Life in 3 months and 1 year was 84.83% and 87.83%, respectively, which was less than 100% for two consecutive quarters. In this regard, industry experts said that the liquidity of Soochow Life has faced certain pressures, and the main cause of this "difficult situation", or directly refers to its business structure with high proportion of early universal insurance. Transforming and adjusting the barrier, Soochow Life Insurance also ushered in a coaching change. In October 2018, "old veteran" Xu Jianping resigned as president, and was proposed to be the president of Qian Qun.bankingOr, there is no experience in the insurance industry, cross-industry, whether it can lead Soochow Life to smooth the transition period, but also leave expectations for the industry. Recently, Soochow Life Insurance announced that it will carry out interbank borrowing business with Suzhou Bank and integrate short-term funds.Financing balanceNo more than 750 million yuan, the transaction method is multiple times, and the trading time is within one year from the date of the decision of the transaction approval authority as stipulated in the Measures for the Administration of Related Party Transactions. As early as the end of January 2019, Soochow Life Insurance has passed the "Proposal on Credit Cooperation with Suzhou Bank of 750 Million Yuan". Today, it is cooperation. On March 28th, Soochow Life Insurance integrated 200 million yuan from Suzhou Bank in an online manner, with an interest rate of 3.4% within one month. The transaction constitutes a materially connected transaction. From the perspective of equity relationship, three shareholder units of Soochow Life Insurance, Suzhou International Development Group Co., Ltd., Jiangsu Shagang Group Co., Ltd., SuzhouindustryPark Economic Development Co., Ltd. holds 10%, 6.5%, and 6% of the shares of Suzhou Bank, respectively, so Soochow Life and Suzhou Bank constitute a related party. 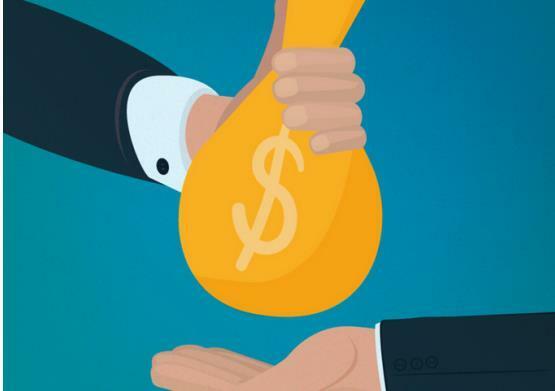 For the purpose of financing, Soochow Life Insurance bluntly said that in order to further improve the adequacy of cash flow, "to meet the company's stock business surrender and daily business needs, to avoid liquidity risks." On February 19th, Soochow Life Insurance also integrated 100 million yuan from Suzhou Bank in an online manner. The purpose of the transaction also pointed to “avoiding liquidity risk”. In fact, the liquidity of Soochow Life has been slightly under pressure. The solvency report shows that as of the end of the fourth quarter of 2018, the combined current ratio of Soochow Life in 3 months and 1 year increased from 67.55% and 72.78% at the end of the third quarter to 84.83% and 87.83%, respectively. But still below 100% of the line. Guo Zhenhua, director of the Insurance Department of Shanghai University of International Business and Economics, said that the blue whale insurance analysis said that the comprehensive ratio is less than 100% within one month and one year, which means that the short-term maturity assets are lower than the maturity liabilities. “There is a certain liquidity risk. ". At the same time, it is recommended that such insurance companies maintain their holdings of monetary funds and increase the ratio of short-term asset allocations, which can be adjusted through stock assets adjustments or through newly collected premiums. “If new business comes in, you can use new income inflows to cope with the outflow of liabilities, or get cash as soon as possible by selling assets,” Guo Zhenhua added. "Liquidity is under certain pressure,"economistSong Qinghui holds a similar view. In the long run, it proposes that insurance companies adjust their business structure, reduce the sales of short-term universal insurance products, and mainly promote medium- and long-term traditional insurance products, and continuously increase the duration of liabilities. "This is only an indicator of solvency. It does not represent the overall situation of Soochow Life. It can only indicate that there is a certain pressure on liquidity." An industry insider analyzed the blue whale insurance. "The main problem is the aftermath caused by the previous business structure." The above-mentioned industry insiders analyzed the blue whale insurance. Generally speaking, the life insurance business has a long period of time. Generally, in the ten or twenty years, the liquidity pressure of life insurance companies is not large, but some companies have sold a large amount of universal insurance. The short-term and long-term products have brought liquidity pressure in the later stage due to the large amount of surrender and expiration of such products. “The company’s current stock business is out of business and daily operations are normal, and liquidity risk is controllable.” Soochow Life Insurance responded to Blue Whale Insurance, and credit cooperation with Suzhou Bank is part of the strategic cooperation between the two parties. The current liquidity and solvency of the company. All are in a sufficient state. In 2018, the loss continued, the original premiums shrank by 60%, and the transitional gate of Soochow Life Insurance "changed handsome"
The other side of the stock business surrender is the currentInsurance businessincome. According to historical data, since the establishment in 2012, the income of Soochow Life Insurance business has shown an upward trend. In 2014, the scale of business expanded rapidly. However, the comprehensive insurance business has contributed a lot. From 2013 to 2015, Soochow Life Insurance's universal insurance business accounted for more than 70% of the scale premiums. In 2017, under the overall transformation trend of the industry, the original premium of Soochow Life Insurance was exerted, and the income of the universal insurance business shrank by nearly half to 2.172 billion yuan, accounting for a decrease of 30%. 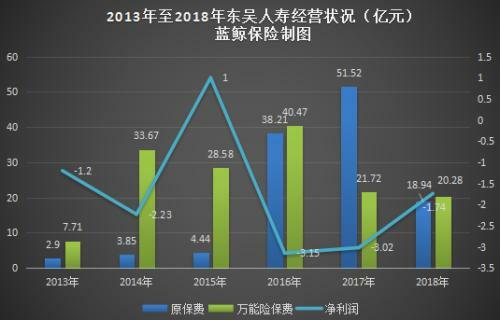 In 2018, the scale premium of Soochow Life Insurance fell from 7.324 billion yuan in 2017 to 3.922 billion yuan, down 46.45 percentage points year-on-year. Among them, the original insurance business income was 1.894 billion yuan, a year-on-year decrease of over 60%, a significant drop. In terms of net profit, since the turnaround in 2016, Dongwu Life continued to lose money, but the loss rate gradually narrowed. According to the solvency report, the net loss of Soochow Life in 2018 was 174 million yuan. In the face of a sharp decline in the original premium income in 2018, Soochow Life responded to the Blue Whale Insurance, given the life insurance market andcapital marketDeep changes and adjustments have occurred. "In order to reduce the spread loss, the company actively shrinks the sales of large-scale products, of which the premiums paid by Yinbao have decreased by 4.24 billion yuan compared with 2017." At the same time, the company said that it will continue to deepen the value transformation. The financial losses in 2018 will be significantly narrower than that in 2017. It is expected to further improve in 2019, and “try to achieve profitability in 2020”. It is worth noting that at the transition gate, Soochow Life Insurance also ushered in a coaching change. On October 29, 2018, Soochow Life announced that it had received relevant documents from the Suzhou Municipal Committee. Due to work transfer, Xu Jianping no longer served as the company's president. The president's authority was exercised by the chairman Shen Xiaoming. It is understood that Xu Jianping since the establishment of Soochow Life Insurance, "steering" Soochow Life Insurance, is a Suzhou city management cadre, according to the arrangements of the Suzhou Municipal Committee, and other appointments. Three months later, on January 25, 2019, Soochow Life Insurance reviewed and approved the “Proposal on Appointing Comrade Qian Qun as the President of the Company”.China Insurance Regulatory CommissionApproved. "According to regulatory policy requirements, the legal procedures for the appointment are currently being carried out," Soochow Life said. According to the resume information of the executives disclosed by the official website of Soochow Life Insurance, Qian Qun is the deputy secretary of the Party Committee of Soochow Life Insurance.ICBC(Quotes601398,Medical stockPresident and Party Committee of Suzhou Branch;Ping An Bank(Quotes000001,Medical stockThe deputy governor and party committee member of Nanjing Branch, and concurrently the post of president and party secretary of Ping An Bank Suzhou Branch. 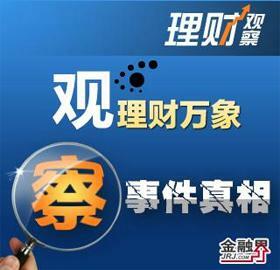 In summary, Qian Qun has no experience in the insurance industry. Can he lead Soochow Life Insurance to “pretend to start again”? "The commonality of local insurance companies is that executives are the form of administrative appointments. In actual management operations, they may not adapt to the laws of the insurance industry." Wang Ligang, an insurance industry analyst, said that the blue whale insurance said, "If No experience in the industry, non-insurance industry executives to take the risk of senior executives, may still take some detours." In Wang Ligang’s view,Banking industryIt is a business system, the insurance industry is a business system, "the business method, business philosophy, employment concept are different", but because the proposed executives are from the banking industry, it does not rule out that some of the previous resources can be brought over, help insurance Business expansion. “Not easy to judge”, Xu Wei, a founding member of the China Association of Actuaries, said that the main reason is the ability of the leader to learn and adapt. “The president will not do specific things, mainly strategic, can you have a good one? It is also key for the team to implement; in addition, the banking industry and the insurance industry are both financial industries, which are common, or can bring some of the bank's experience to the insurance industry." The liquidity indicator continues to warn the veteran to return to Bohai Property Insurance to "twist"